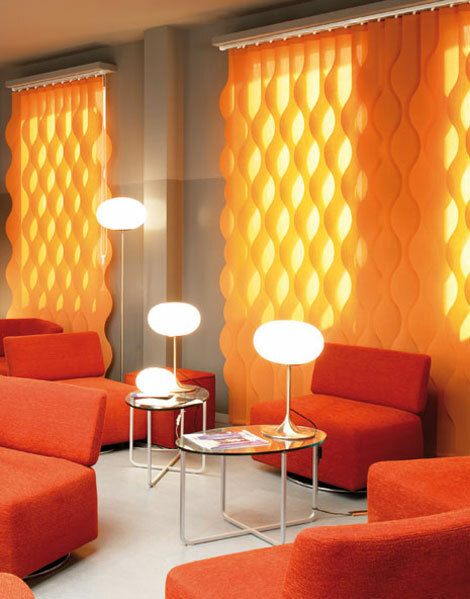 The latest innovation in Vertical blinds is the Silent Gliss® Wave Vertical. The polyester fabric panels have been laser cut and then arrange in a way to create stunning visual effect, truly a unique solution for a feature window or simply decorative element to your décor. Its inverted curves and peaks offering the look of thorns & stormy seas. Soft flowing curves reflecting the look of ripples and waves. Designed to express the look of wind swept landscapes. Available in cord, hand crank or motorised operation. Panels come in 250 and 230mm widths.